This is a hand-colored map by Wyoming historian Grace Raymond Hebard depicting historical events in Wyoming, including narratives. Created shortly before her death in 1936, the map is autographed in the lower right corner. 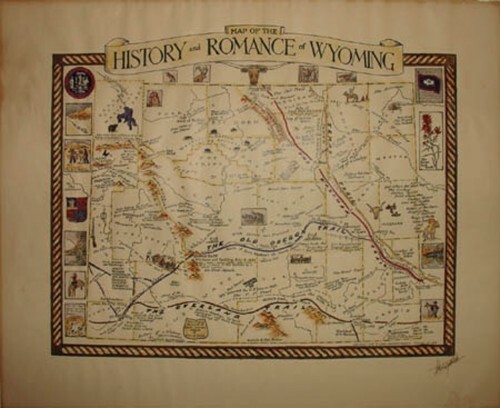 Learn more about Wyoming historian Grace Raymond Hebard.